I have a completed a set of new abstract oil and mixed media paintings which are available for sale and listed on simonkenny.artweb.com or you can contact me directly using the details provided. 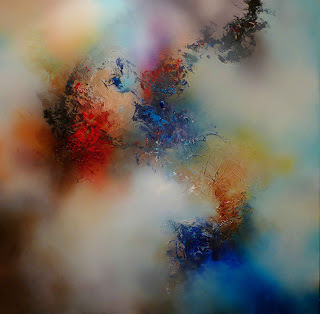 Simply scroll down to view the new abstract paintings and should you want to see more or have feedback please don't hesitate to contact me with your comments via either my website http://simonkenny.artweb.com or via my email address below. Each of the abstract paintings are created on large canvases of various sizes from 40 x 30" to 60 x 48". I have continued with the split in styles with my oil paintings using more traditional methods and my mixed media paintings combining a large number of techniques, some old and some new, applied over textured canvas. 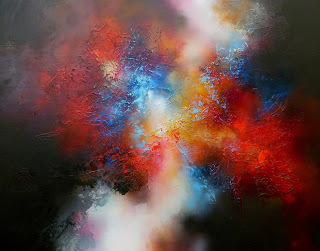 My mixed media paintings are inspired by photos of cloud formations both planetary and in deep space. I have also started to use a high gloss resin finish on certain select abstract paintings as it not only enhances the vibrancy of colour but also connects the viewer to the work more directly. I'm going to offer this as an additional service rather than finish every painting in the resin as it may not appeal to everyone's taste. I have also switched courier services to UPS due to continuing issues with City Link and Yodel. The UPS services are of exceptional quality both with national and international sales, collections are always on time, tracking details accurate and to date no issues so I am happy to finally be confident in this part of my sales process. Painting sales have continued to grow steadily with corporate commissions for a number of large abstract paintings taking up the bulk of my time over the past month or so. I have a number of abstract paintings under way with two created in oil paint and two in mixed media so watch this space for further details. Once again thanks for stopping by and please enjoy viewing my work below. The Fall of Evermore. 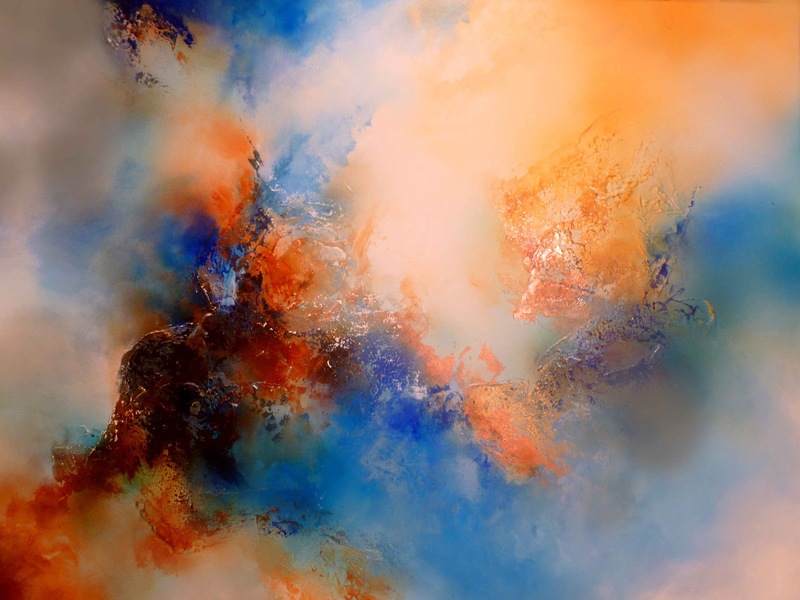 Diptych, oil on canvas, high gloss resin finish, 60 x 30"
Renaissance. Mixed media on canvas, 60 x 48"
Duality. 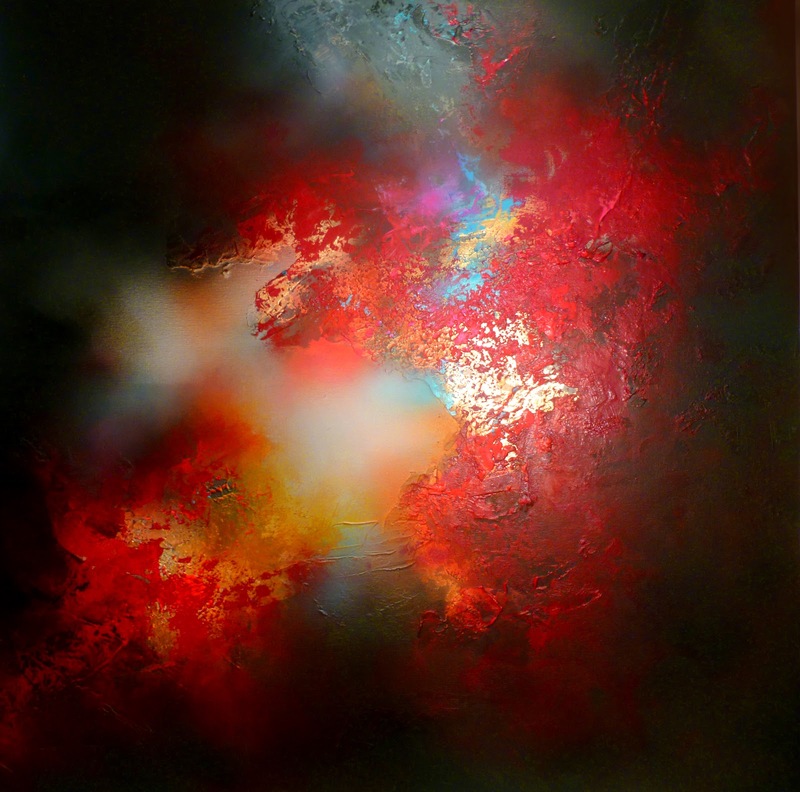 Mixed media on canvas, high gloss resin finish, 40 x 40"
Refining Damnation. 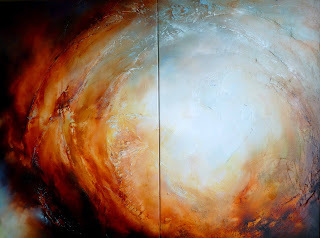 Diptych, oil on canvas, high gloss resin finish, 48 x 36"
Herald. Mixed media on canvas, 48 x 36"
Theory. Mixed media on canvas, 40 x 40"
Should you wish to contact me to discuss any of the above paintings, abstracts from my older posts or to discuss a commission please email me at simonkenny@eskayfineart.co.uk and I'll have a response out to you within 24hrs.